I’m working on two sites in a multisite network. 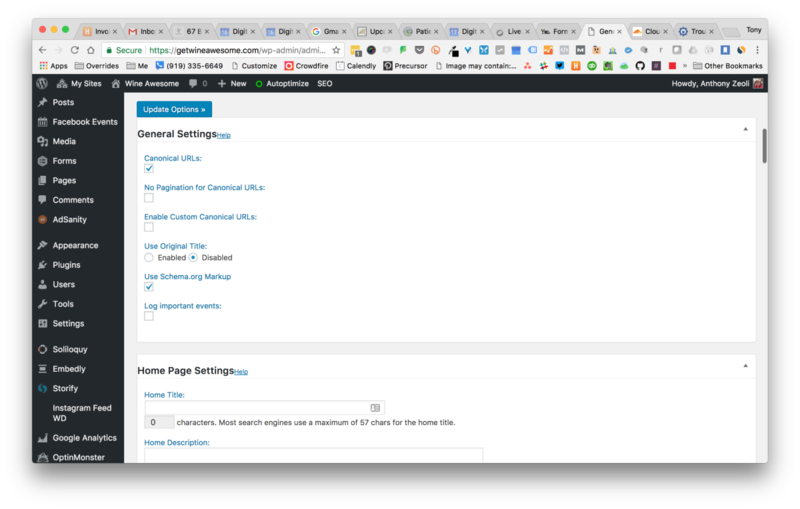 The first site in the network retains the CSS formatting for the admin. The second site in the network loses all CSS admin styles. Here’s a screenshot of just a few of the panels under General Settings. Not sure why this is happening. Can you assist? Disabled all plugins, switched themes to WordPress default and was still happening. WP Engine recommends using http:// (or https://) domain.com/2ndsitename as the SiteURL in the Sites manager. I don’t know why they recommend that, because it messes with both the URL of the media library and it broke the All in One SEO admin CSS for the second site. https://foodandwinepairingresearch.com/getwineawesome to https://getwineawesome.com and it fixed the issue.